3/21 UPDATE: Well with temps in the mid-50’s to low 60’s our thin snowpack took a beating this week. After inspection of the hill today, we have made the very difficult decision to close for the season. We felt we could not offer safe skiing or riding, let alone good skiing or riding. We know that this early closure is compounded by the chair being down for most of March. It’s been a tough end to the year and we appreciate your understanding. Please check our Conditions page or The Mountain page for further mountain updates. NOTE: Uphill and downhill travel on Little Buck Mountain is prohibited, except as written in our Uphill Policy. Visit the Bear Mountain Luge Experience page for details. 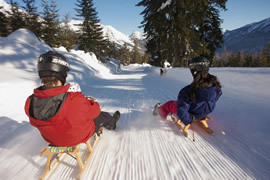 You’ve seen it during the Winter Olympics, but did you know that recreational luge sledding is a thing? With a new run at the Methow Valley’s Loup Loup Ski Bowl, writer Jeff Layton put it to the test. The result? A real-life game of Mario Kart that’s surprisingly kid-friendly. Experience dry Okanogan powder and perfectly groomed runs — with little or no wait time — on 300 acres of diverse terrain. 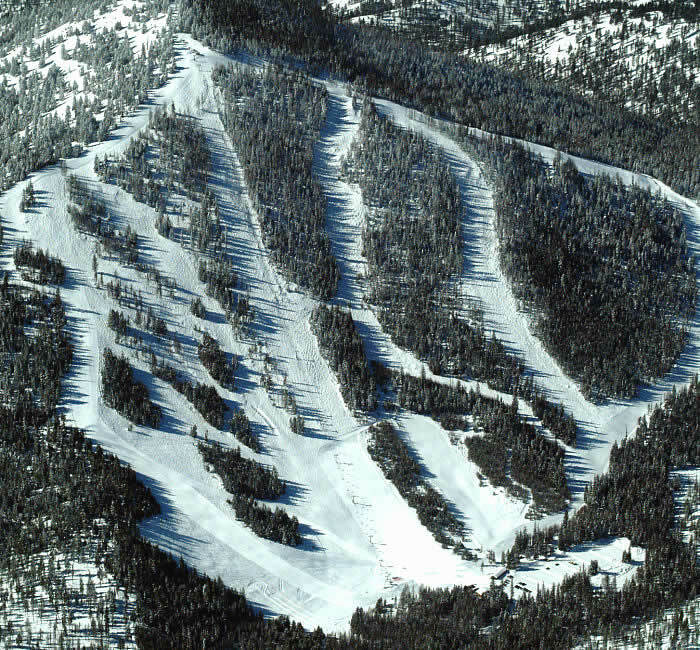 The Mountain has a lot to offer beginner through advanced alpine skiers, nordic skiers and boarders alike! During Christmas and February Presidents’ Day holidays we’re open every weekday except Christmas Day. Our Rental Shop stocks alpine skis and snowboards, kids’ rental equipment & helmets, and other rental gear. Forgot something? Purchase skis, poles, snowboards, goggles, gloves, socks & other items from our Retail Shop. Fully-certified Ski School Instructors offer all levels of Alpine and Snowboarding Lessons. The Wolf Den, our rustic day lodge, features a rock fireplace, food, beer and wine services. Open 8:30 a.m. – 4:00 p.m. on all lift-operation days.